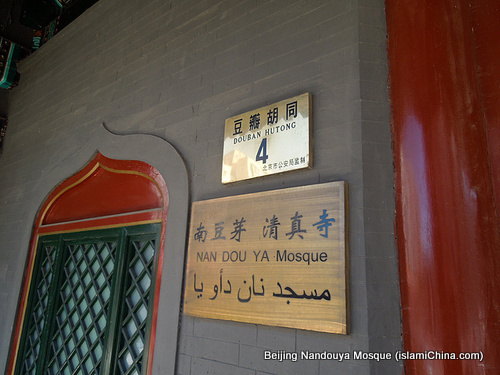 Beijing Nandouya Mosque is located at No. 15, Nandouya Hutong. The Layout of Beijing Nandouya Mosque is east and west oriented with courtyards and praying room facing the direction of Mecca. Beijing Nandouya Mosque was first built in the Yuan Dynasty (1279-1644) with a main entrance, prayer hall and other facilities. The original entrance of Nandouya Mosque had an Islamic lintel with crescent moon on the top. The traditional Chinese style screen wall of Nandouya Mosque was 395 meters wide, facing the main entrance of the mosque. 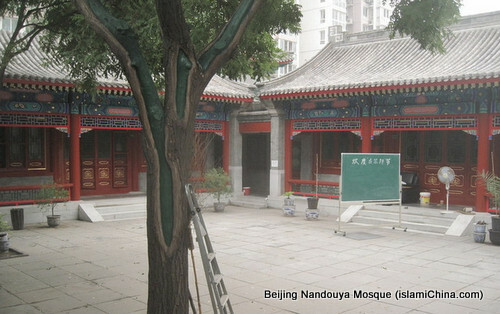 In 2003, Nandouya Mosque was relocated to its current place which is about 100 meters southwest of its original site due to the improvement of Beijing’s infrastructure. 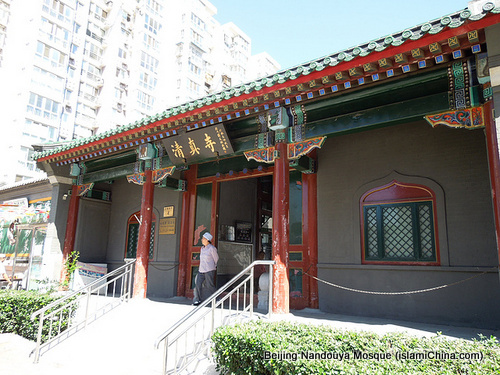 With a total investment of eight million Chinese Yuan from Beijing city government and local Muslims’ donation, Nandouya Mosque was newly built in traditional Chinese courtyard house style covering a floor space of 1600 square meters. Nandouya Mosque is now the best example of how new mosque are built using modern material and technique while traditional Chinese and Islamic styles are still well maintained.